In the public eye I am a designer and media personality. But I am also a mother and wife and that comes first for me, always. Last week, I was a featured speaker at High Point Market..what a thrill to have so many people come here my opinions on design and thoughts on the future. It is always a humbling experience when so many people turn out. I started from such modest beginnings..a dining room table, a mailing list and a sheet of looseleaf paper with my rather lofty goals. Fast forward several years and I have accomplished so many of them. This week has been a whirlwind of activity..sometimes, I don’t even know how I do it. I returned a little early for a meeting and to attend my Kindergarten daughter’s school play-what a thrill to see her front and center, fearless, smiling and full of confidence. Yeah baby!! Moments like that make my day!! Then I was off to the Overseas Press Club Awards gala at The Mandarin Oriental in NY as a guest of Subaru..yep, that Subaru. Shortly after being seated at our table, a lovely couple approached me and introduced themselves as the President of the OPC and his wife. When I introduced myself, they said “We know exactly who you are! We are big fans!” They even invited me for dinner at their home..What a moment it was, I was so flattered over the fuss and the pr girls with me were dying! OMG, really? When I got home, I received a letter that my stationery line with Expressionery had a banner 1st quarter..I had no idea my notecards were becoming that popular..time to create the next line. The next evening, I headed off as a VIP guest of Home Goods to the Housing Works Design On A Dime Event in NY. Amazing evening full of inspiration, charity, celeb sightings and meeting new and old friends. I also got to FINALLY meet my friends from the Home Goods corporate offices in person and they were as awesome as I knew they would be. Everyone from GMA anchors and Ty Pennington to my buddies Stephen Fanuka and Tyler Wisler were there. On Thursday, I was invited to visit two luxury hotels that have just been renovated-(they all know about my love of luxury travel and hotels) and on Friday I finalized my lineup of over 150 pieces I am selling on One Kings Lane, where I will debut House Of Cachet my latest and biggest venture thus far. But also, we had a ginormous play set installed in our home I ordered from one of my have companies, Hayneedle. Kids in Heaven! On Friday I received a contract for my latest corporate partnership that starts next week..lots of DIY ideas with the latest sewing machines! More soon on that. It’s going to be very cool, so excited! I am with my husband and kids all weekend, going to first communions, watching The Wonder Pets and eating BBQ. It’s been a uber grande week for me personally and professionally. I’m not telling you this to show you “how fabulous I am”, but to inspire you that you can do anything, you can have everything and do it on your own terms. You can wake up everyday and have the life you always dreamt of no matter where you begin. This I know for sure. Just start with a clear vision, a pure heart and ears that are closed to the negativity that inevitably comes with any measure of success. Just let it roll and you will soar. Here’s to more and more Best Weeks Ever! I wish you a life of happiness, success and faith in yourself. I’ve got nothing but love for ya! Why I Love The New Keurig Vue! For anyone who knows me even just a little bit, it’s pretty obvious I am an avid coffee drinker. The boundless energy has to come from somewhere, right? But, my coffee has to taste good and be easy to make. I have the French presses, I have the espresso machines, the frothers and all the artisinal coffees one might desire. At the end of the day, I need my coffee quickly and hassle free. 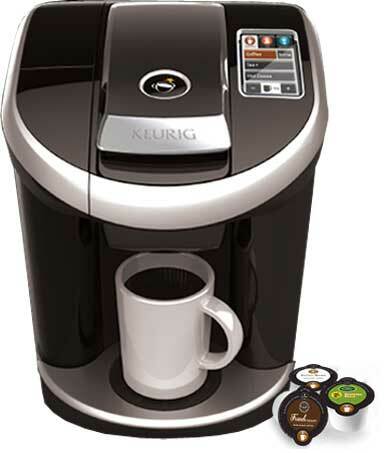 Enter the brand new Keurig Vue. 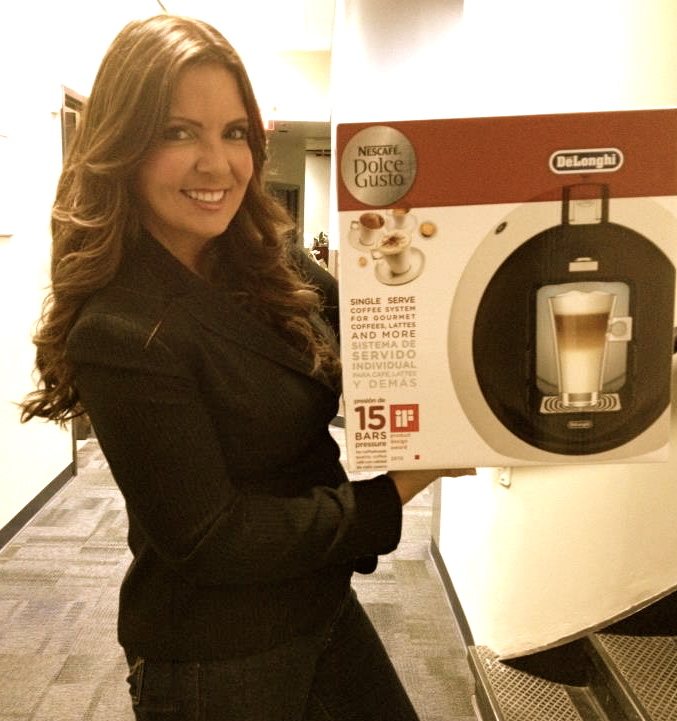 They just took Keurig Coffeemakers to a whole new level! Keurig is basically The Original G in one cup coffeemakers using the infamous K-Cups. It feels like not that long ago, the coffee purists who were scoffing at this new design are now lovers just like me. Why? Simple. The coffee tastes good, it is easy to use and now, more than, ever, comes in a variety of flavors that appeals to pretty much everyone. The Keurig Vue took those basic principles and brought it into the 21st Century. You no longer have to pay five bucks to have your coffee uber-personalized..I think you’re really going to dig this and here’s why.. The Keurig Vue does three things you will love. It allows you to brew bigger. Yep, we’ve got coffee that comes in larger sized K-cups called Vue Cups to accommodate those (hi, over here!) who like their big ol’ cups of joe in a travel mug, perhaps. If you’re like me, you get embarrassed in hotels and restaurants when they give you those tiny 6 ounce cups of coffee..like, really? Can I have three of those babies? It allows you to brew stronger. You can actually adjust the brew strength. Late night and an early morning meeting? No problem, adjust the brew! Want an after dinner cup of coffee that won’t have you counting sheep at 1am? You can do that, too! It allows you to brew hotter. Some of us like their coffee piping hot, others don’t ant to blow on it for five minutes. Now, you can have it either way with the Keurig Vue. It is fully customizable coffee, plain and simple. That, combined with the sleek modern design and touch screen controls make it cool. And at $249, it will pay for itself pretty quickly. Windows Phone Wrap Up & How We Can All Recharge Using This Fab Phone! Now that we wrapped our fabulous Home Office Makeover with me, Windows Phone and Hayneedle.com, there are a few valuable takeaways I wanted to share with you..How exactly can we ALL recharge our work styles in 2012?? Here are some ideas I came up with using my Windows Phone I’d like to share with you all..
Clear the clutter in your office by taking advantage of features like Office Mobile and SkyDrive. No longer do I have to keep a hard copy of all my documents, excel sheets and to-do lists because I have the Microsoft Office suite right on my Windows Phone including OneNote for my mobile task lists. I can even sync all of my notes and documents to SkyDrive so I can access them from my PC as well. Also, with apps like MoBudget I can stay organized and on top of project budgets without sticky notes and invoices. You can make better use of your time the more organized you are, so you have that extra time outside of work to spend with family and friends! I’m on the go constantly and rely on my phone to stay connected to all my social networks while staying on top of work. The beauty of using my Windows Phone is that it lets me work from anywhere. I can literally update a word document while standing in line at a coffee shop by using Windows Phone’s Office Mobile feature. Also, it’s easy for me to stay connected to my fans and followers through my Me Tile, which allows me to send updates to Twitter, Facebook and LinkedIn all from one place. I actually save time during the work day because I don’t have to go in and out of social networking apps. Take a break and get out of the house! My Windows Phone helps me break out of the office and save some time accomplishing my day to day tasks, so what do I do with this extra time? As a working mom, I’m always in need of a breath of fresh air – between putting the final details on my latest design project and carpooling to after school activities. I use apps like AccuWeather on my Windows Phone to check out the current weather conditions if I’m in the mood for an afternoon run. The app even has Live Tiles so the latest temperature shows up right on my Start Screen as opposed to having to open the app. I also take advantage of Local Scout to find the closest parks to my current location if I need a new exercise venue. And if weather doesn’t permit and I opt to grab a cup of coffee or do some shopping with a girlfriend, Local Scout also pulls up the closest places to eat, drink, and shop. One of y favorite things about the Windows Phone is that I can personalize it to my needs..and it looks pretty and all color coded how I like it! My own personal design, if you will..
As a writer, I’m sending and receiving hundreds of e-mails per day. Along with being a writer I’m a designer, TV personality and mom – you can imagine my calendar is crazy. With Windows Phone’s Linked Inbox and Integrated Calendar features, I’m able to easily distinguish between work and personal emails with my specified inbox making it easy for me to stay on top of my priorities for the day. The color coded integrated calendar lets me know exactly where I’m supposed to be for all engagements in my life – even Facebook events – and my next appointment shows up right on my lock screen. Windows Phone makes it easy to be a multi-tasker! That and lots of coffee runs! Looking forward to sharing more useful (and of course stylish!) tips with you..Gotta run! Courtney Cachet + Windows Phone: Win A Home Office Makeover! Everyone knows, I’m a hard working girl! And I am always on the go, whether it’s shooting on location in Europe, designing for one of my celebrity clients or chasing after my two kids! In fact, most of us are on the go at all times. That said, it’s important to have a phone that helps you stay connected from anywhere. To work smarter this New Year, I’m partnering with Windows Phone to recharge one lucky person’s work style with a home office makeover! This FABULOUS makeover includes a consultation with me, home office prize package from Microsoft, including a new Windows Phone and home office décor and accessories from Hayneedle.com. You should really get in on this sweet deal of a contest!! Enter to win by telling me why you need to recharge your home office in the New Year, submit a TwitPic of your space @windowsphone and @CACHETLIFESTYLE and include the hashtag #WindowPhoneWorks. The contest starts today and the winner will be announced on February 8..GOOD LUCK! Here is the link to the Windows Phone Blog with all the rules and details! Also, check out this video we made on the streets of NYC to introduce this fab phone! My Christmas Eve Cooking Lesson At The Four Seasons Firenze! I get to do a lot of really cool stuff, this I know for sure. One of the coolest things I’ve done in a while is spend some time in the kitchen with Michelin star chef, Vito Mollica of Il Palagio at The Four Seasons in Florence. I was there filming a three part series all about Fabulous Florence and The Four Seasons Hotel. Christmas in Europe is always spectacular, especially in Italy. That said, I thought I would be remiss if I didn’t ask Vito about the infamous Feast Of The Seven Fishes. Growing up in New York, I always heard Italians talking about this. It’s like a really big deal. But, I was in Italy not Arthur Avenue in the Bronx. I wanted to get it from a master. Now, I’m certainly no chef, more like a takeout queen. But, we are a foodie bunch and everyone knows I love haute cuisine and dining at top restaurants. Here’s a video of me in and around Florence, including a simplified recipe that incorporates the “seven fishes”, just much easier and more user friendly than that which I am sure Chef Vito is whipping up. There’s no real recipe, it’s sort of that simple. Just take a small amount of several different types of seafood, season and sauté. While the seafood is sautéing you cook your linguine-and not soft till it tastes like it’s from The Olive Garden, mamma mia!!-. Toss and plate. Just a note, Chef Vito didn’t use one drop of butter, just good olive oil. I really wish you could’ve seen the part where I asked him about putting cheese on pasta with seafood. It was epic. Eyes all popping out, sweat at the brow. It was great! NO!!! I wish you all a very Merry Christmas. I’m so grateful for all the gifts in my life and part of that is you and all your loyal support. Bieber Fever & Paris Hilton Eats Cupcakes! Hurry! We go live in three minutes! Yesterday, I appeared on NBC Philadelphia’s The 10! Show, featuring all the latest in celebrity favorite hostess gifts. It was great segment and I am very pleased with the items we showcased and theoutcome of the segment. What nobody knew is that I hot a terrible traffic snarl and came uncomfortably close to missing my segment! Without the help of good old Bill Henley, I never would’ve made it to the church on time! I’m not from Philly and I certainly don’t know my way around. Bill guided me through the back roads and I arrived safely and in time! Thanks, Bill. Enjoy that champagne! Here’s the clip! On Location With NBC and Open House NY..in NJ! Also, I’m kinda digging George’s new look. Typically, I don’t like the whole facial hair thing as it’s a tad too Nascar-ish, but he wears it well, doesn’t he? More Columbia English Lit professor than Schlitz drinking racefan, don’t you think? I was asked by People.com for my tips on creating a fabulous baby nursery suitable for the Technolicious Mommy set for their popular Celebrity Baby blog. That said, we headed downtown to one of my favorite upscale baby stores, Giggle. Love! My friend Lori of Lorico Photography did the honors and the visual back drops couldn’t have been more perfect. Also, since I am decorating LXTV’s Sara Gore’s nursery uptown next month, I got some great ideas. I forgot to mention that all of the tri-state area seems to still be recovering at a snail’s pace from last week’s storm..what does that mean to me? It means my 3 and 5 years olds have not had school all week. Every nanny and babysitter is either in the dark or bookd solid through Thanksgiving. So they came along, too! But, my kids have been carted along to TV stations, photo shoots and press events since they were born. This is no big deal. I got the perfect photos and then we hit Balthazar for some Chocolat Chaud..everyone’s happy. Here’s one of the pics! More soon. I will be writing the piece on my way to Florence, Italy this weekend. I cannot wait. Welcome to the New And Oh So Improved Courtney Cachet Website! After a long time with a website that seemed very out ( like very!) of touch with what Courtney Cachet Inc. has become, it was time for a change. With the help of some very talented and um, patient web developers, we created someplace that I feel really reflects who I am both as a person and a brand. I feel like I’ve been living in a hotel the past few years..sometimes it’s Facebook or Twitter or various other “homes” where I have a place, but not really my own. Well, that’s all changed now. There are so many exciting things happening, I can’t wait to share them with you. More news, more TV, great ideas and product development. I am excited and flattered you are here to join me on this incredible journey.